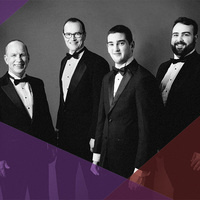 Portland Gay Men's Chorus presents "What Unites Us"
A divided world has united the voices of a movement calling for equality, justice, and change. Join PGMC for a concert featuring soloists and ensembles performing music that serves as the soundtrack for a revolution, including the West Coast premiere of Seven Last Words of the Unarmed, a vital new work by composer Joel Thompson. What Unites Us is a special event this season, rooted in the mission of the Chorus to affirm the worth of all people.